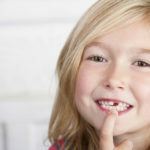 Children Dental Emergency | Smile Angels of Beverly Hills - Bruce Vafa DDS. Toothache: Clean the area of the affected tooth thoroughly. Rinse the mouth vigorously with warm water or use dental floss to dislodge impacted food or debris. If the pain still exists, contact your child’s dentist. DO NOT place aspirin on the gum or on the aching tooth. 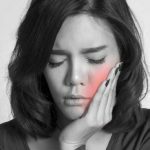 If the face is swollen apply cold compresses and contact your dentist immediately. Cut or Bitten Tongue, Lip or Cheek: Apply ice to bruised areas. If there is bleeding apply firm but gentle pressure with a gauze or cloth. If bleeding does not stop after 15 minutes or it cannot be controlled by simple pressure, take the child to hospital emergency room. Knocked Out Permanent Tooth: Find the tooth. Handle the tooth by the crown, not the root portion. You may rinse the tooth but DO NOT clean or handle the tooth unnecessarily. Inspect the tooth for fractures. If it is sound, try to reinsert it in the socket. 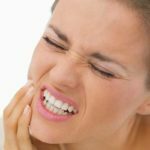 Have the patient hold the tooth in place by biting on a gauze. If you cannot reinsert the tooth, transport the tooth in a cup containing the patient’s saliva or milk. If the patient is old enough, the tooth may also be carried in the patient’s mouth. The patient must see a dentist IMMEDIATELY! Time is a critical factor in saving the tooth.